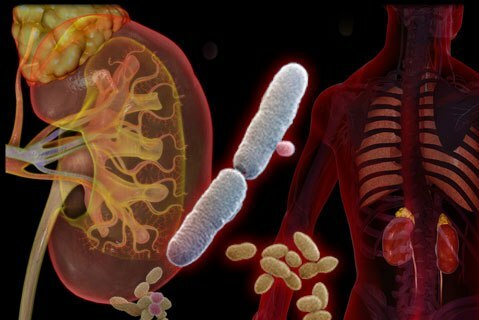 As urinary tract infections are normally caused by bacteria, they are most commonly treated with antibiotics or antimicrobials. The type of medication and length of treatment will depend on the patient's symptoms and history. The full course of treatment should always be completed for UTIs, in order to ensure that the infection is fully clear, and to reduce the risk of antibiotic resistance. UTI symptoms can disappear before the infection has completely gone. Drinking lots of fluids, and frequently urinating are always recommended for people who have UTIs as this helps to flush out the bacteria. A variety of pain relief medications may be prescribed to alleviate pain. Applying a heating pad to the back or abdomen can also help. Wear cotton underwear and loose fitting clothing to keep the area around the urethra dry.